Since 2003, Healy Consultants Group PLC has assisted Clients with business registration in Finland. Our services include i) Finland company registration ii) corporate bank account opening iii) employee recruitment iv) employee visa strategies and v) office space rental solutions. Finland has been ranked as the 10th most competitive economy in the Global Competitiveness Index of 2017/18. This is due to the nation’s stable institutions along with its good health and primary education as well as higher education levels. Moreover, Finnish financial market is very well developed and efficient. Office hours in Finland are slightly different than the rest of the world and change according to the season. In general, offices open from 08:00-16:15 in the winter and from 08:00-15:15 in the summer. Employers find it difficult to negotiate wages because they are generally set by trade unions. Finland i) ranks 143rd in the world for a company’s ability to negotiate wages and ii) has a trade union density of 70%. Our Clients’ businesses in Finland are unable to sell food products, to Russia because of the food embargo that Russia has imposed on the EU. Finnish food exporters are expected to lose up to €400 million due to this embargo. Future sanctions on both EU side and the Russian side are highly likely. It is extremely tough to acquire credit by the Finnish businesses because there is no public registry coverage in Finland and the coverage of the private bureaus in weak. Therefore, Finland is not an attractive centre for new business ventures. Although the market size of Finland is quite small with a population of only 5.4 million, Finns have a high purchasing power of US$47,000 per year per person. Our Clients can expect transparent and efficient transactions with the government since Finland is ranked the third least corrupt country in the world and the world’s fourth most competitive economy. How many shareholders are needed for Finland business registration? 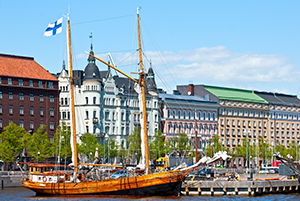 For business registration in Finland, only 1 shareholder is required. I am thinking about registering a company in Finland. Do I need to find a resident director? All Finnish companies require at least 2 directors, out of which at least 1 must be resident in the EEA. Healy Consultants will provide Clients with nominee director resident in the EEA if required. Do I have to travel for registering a Finnish company? No, Healy Consultants does not require our Clients to travel for registering a new firm in Finland. How long does it take for company registration in Finland? It takes on average 3 weeks to incorporate the company and another 3 weeks to open the corporate bank account. To help us engineer the optimum Finland corporate structure, please complete the 3-minute questionnaire below; then press the submit button below.